Sunshine coast QLD	Need Insurance? AU $26,500	Need Finance? Need Insurance? Description: Roberts 25 Roberts south coast 25 Encumbrance Check? Much loved Australian built boat the south coast 25 will take you anywhere you like in Australia. 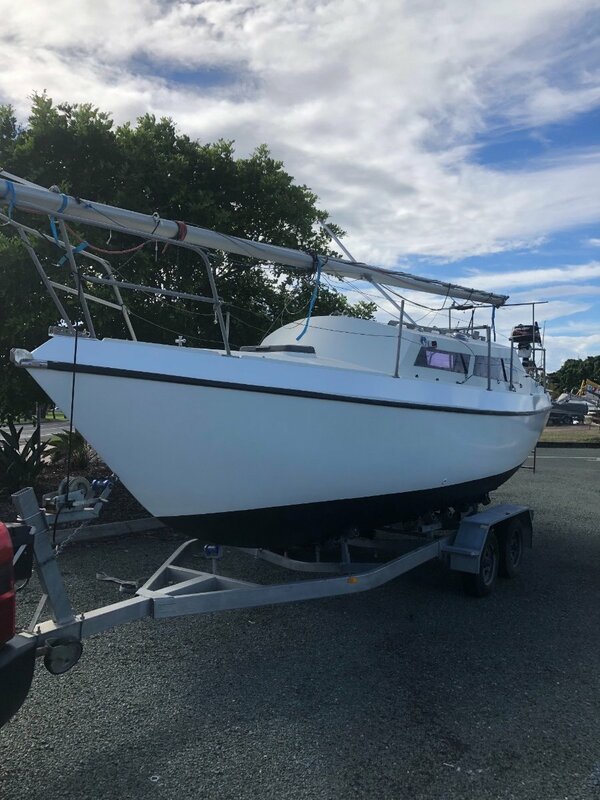 We have owned this boat for the last 12 months as we wanted to learn how to sail, it has been the perfect boat for that! We are now ready to step up to a 40ft yacht and it is now reluctantly time to move on. Here are the reasons I bought this boat, this is not your typical trailer sailor, this is a YACHT that can be towed. And lastly it has great sails on it that will last many many more miles. We have been so happy with this boat as our first yacht, this is a true coastal cruiser that can deal with a variety of conditions as we have put her through her paces during the last 12 months of sailing. We believe we are going to leave her better than when we bought her and we know the new owners will enjoy her just as much as we have! In line galley with metho stove, lots of storage. Dinning table in middle with couch that doubles as a single bed with storage beneath. Large v berth forward, smaller stretcher bed arft. Inclosed seperate toilet. One large cover that covers the deck when at rest.